Apple is said to have finalized an agreement with Taiwan Semiconductor Manufacturing Co. that could see the foundry produce Apple's next two generations of processors. Taiwanese industry publication DigiTimes reported on Friday that TSMC will utilize its 28nm and 20nm process technologies, presumably for the so-called A6 and A7 chips, as part of the agreement. "TSMC is believed to have quietly secured Apple's contract, and even succeeded in extending the deal to cover the manufacture for the A6's successor," the report noted sources as saying. Of course, neither the A6 nor its successor have been officially announced by Apple, but sources within component suppliers have suggested that the A6 will power Apple's sixth-generation iPhone and third-generation iPad when they are expected to arrive next year. Insiders also alleged that the terms of TSMC's contract were relatively favorable and would have little impact on the company's gross margin, which stood at 46 percent as of the second quarter of 2011. Though TSMC had originally been believed to take over production of the current-generation A5 chip from Samsung, analysts have since suggested that TSMC will not begin fulfilling Apple orders until 2012. 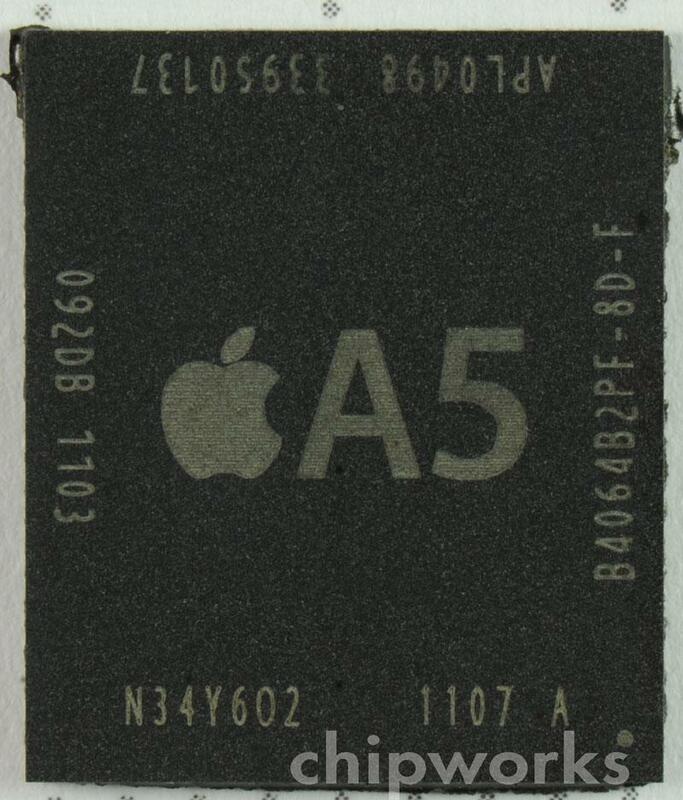 In July, TSMC was said to have begun trial production of the A6 processor, with Apple wanting to see whether the foundry had an acceptable yield rate. A subsequent report claimed production design for the chip will be finalized in the first quarter of 2012 and publicly unveiled no earlier than the second quarter of next year. Friday's report added that Apple and TSMC have not yet talked about backend manufacturing such as packaging and testing. Sources speculated that Apple would split orders between TSMC and a dedicated packaging and testing house because the foundry has limited capacity for such services. Siliconware Precision Industries (SPIL) and Amkor Technology were named as being in the running for orders. In August, the publication reported that Apple met with SPIL to discuss "opportunities for cooperation" after seeing the company's assembly line. "SPIL stands a chance of becoming the first packaging and testing service provider designated by Apple," sources said. Earlier this week, TSMC said it had received- a batch of "rush orders" that could lift the company's earnings past guidance. One analysis suggested that Broadcom had placed orders for iPhone 5 components as production of the next-generation handset ramps up.